I am giving away one of my new books, Amazingly Simple Triangle Stars. 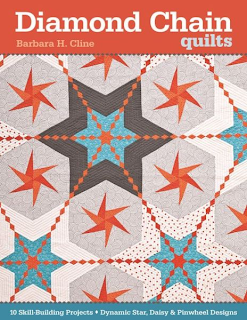 To enter a chance to win, leave a comment on this blog post, by telling me what one of your favorite quilt pattern is or like my Facebook page connected to this link. The winner will be notified December 12. One of the nine quilt patterns in this book. Here is another set of slates I painted. If you are interested in purchasing one of these go to Sew Classic Fabrics in the Heritage Farmers Market Harrisonburg, VA. You can also place special orders at 540-828-6815. I so enjoyed hearing Caryl Bryer Fallert Gentry's lecture at the Virginia Quilt Museum in Harrisonburg, VA. If you get a chance go see this exhibit by December 19. My niece Jolene was also at the lecture. ....and some of us knot comforts. van and headed to PA to visit Autumn and Laban. 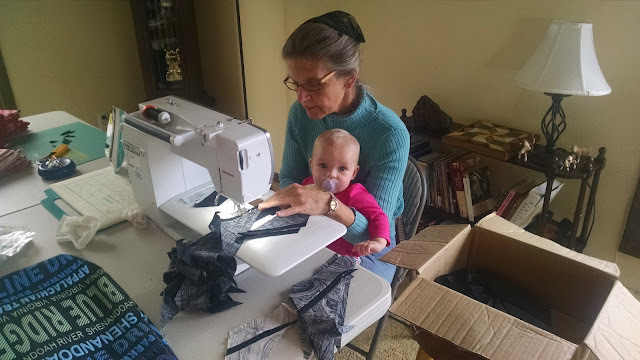 We took our sewing machines and spent all day Saturday sewing. 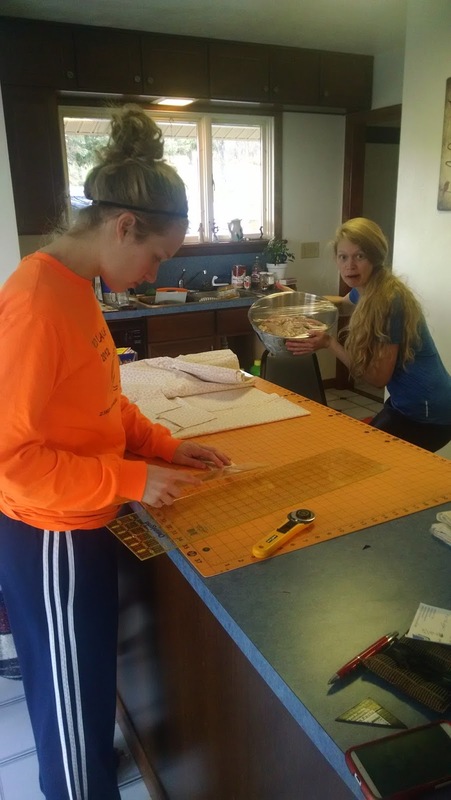 Rebecca is cutting out a quilt while Autumn is working on lunch. 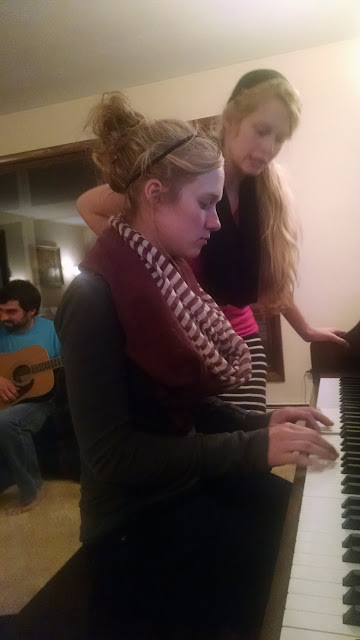 Autumn is teaching Rebecca some tricks on the piano. 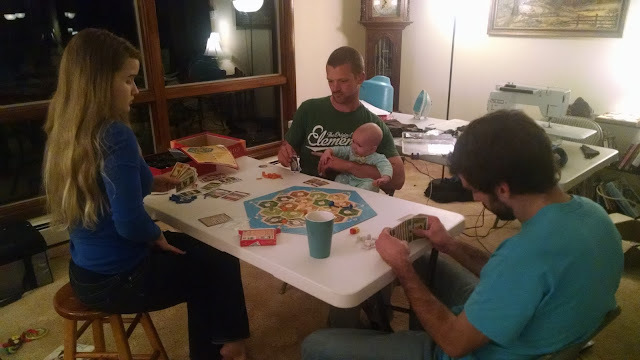 Rowen is learning another skill. I drive these precious little children to school every day. 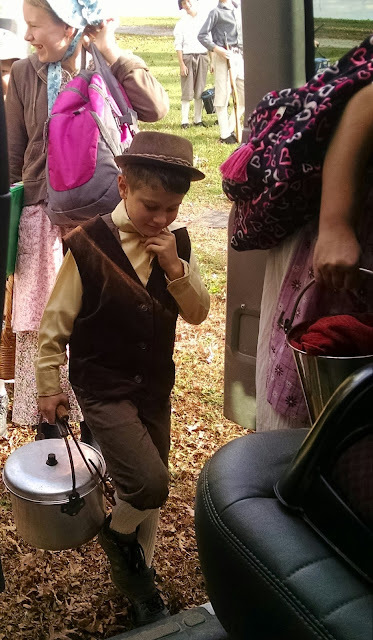 A lunch pail and wide rim sun bonnet. 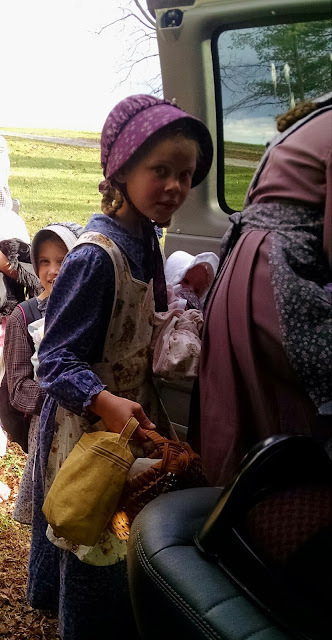 Most of the girls wore aprons. Hat, vest, knickers, white socks and lunch pail. 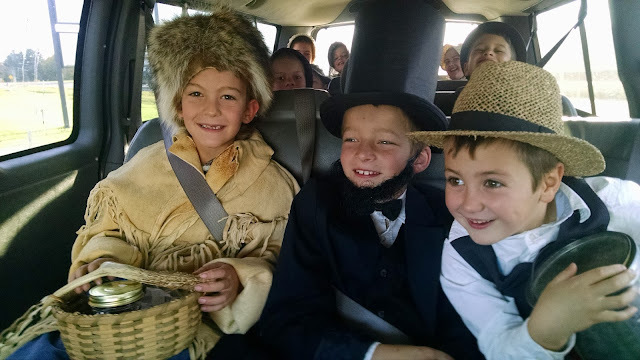 The excitement of the children was so much fun to see. You truly have talent - God blessed you and you bless us with your gifts. I really want the Simply Triangles book (and so does my daughter). 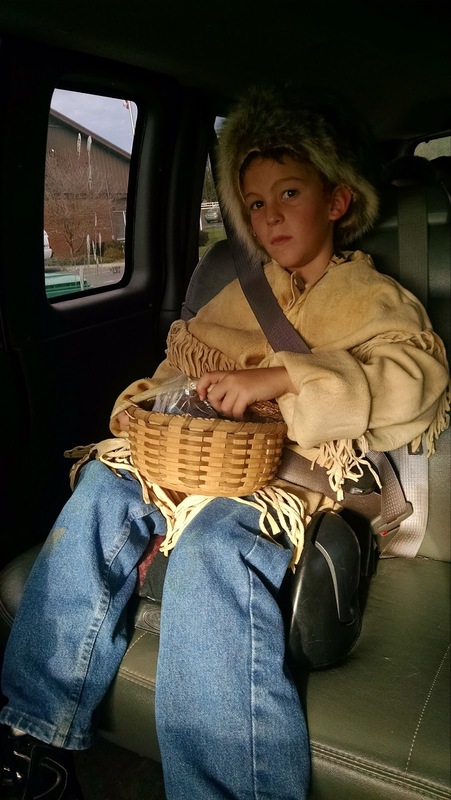 I love seeing your projects. Your new book looks beautiful. 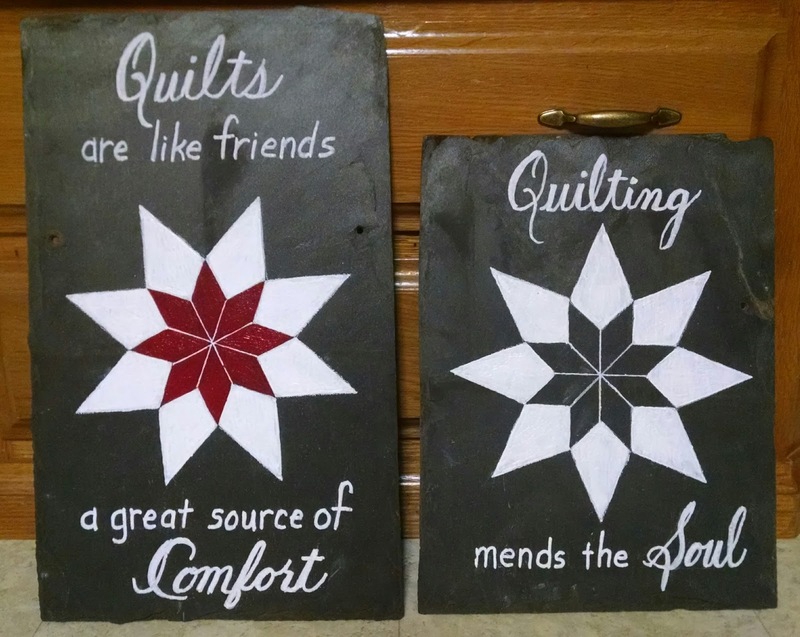 I love anything with a star in it so your quilt pictured above is sure to become a favorite. My favorite is just a simple flying geese pattern. Looks like you're having lots of busy fun, Barbara! 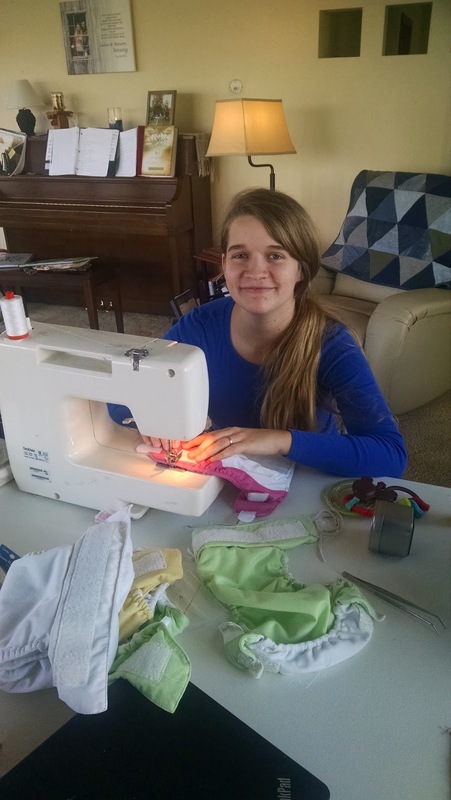 Glad you were able to visit Autumn and quilt some while there. We're recuperating this week after Sarah's wedding on Saturday. It was beautiful, and she's so excited to be married. But it sure is quiet around here! I would love to win the book! I just finished "Ivy spangled banner" last month and am hoping to hand quilt it next month! 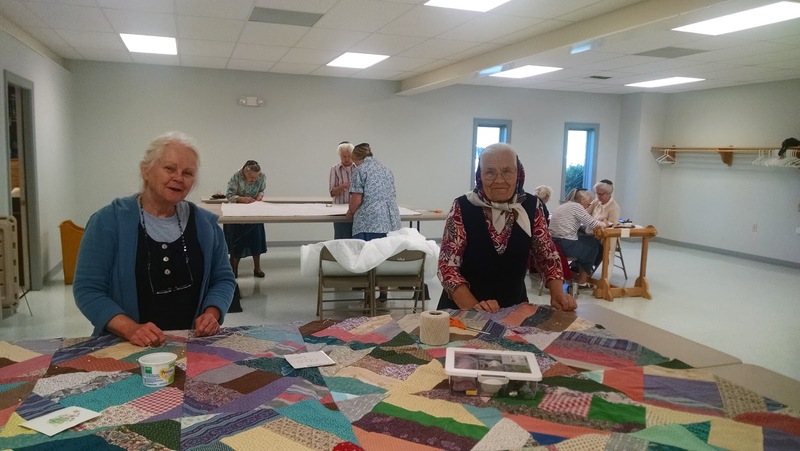 How beautiful your quilts are! I'm not sure I could choose one favorite but I seem to have stars in several if my quilts do there's a definite theme there. Oh my goodness...I have your Simply Triangles book and I never made the connection!!! Love that book!! I love working with triangles and I really like your stars - so awesome!!! 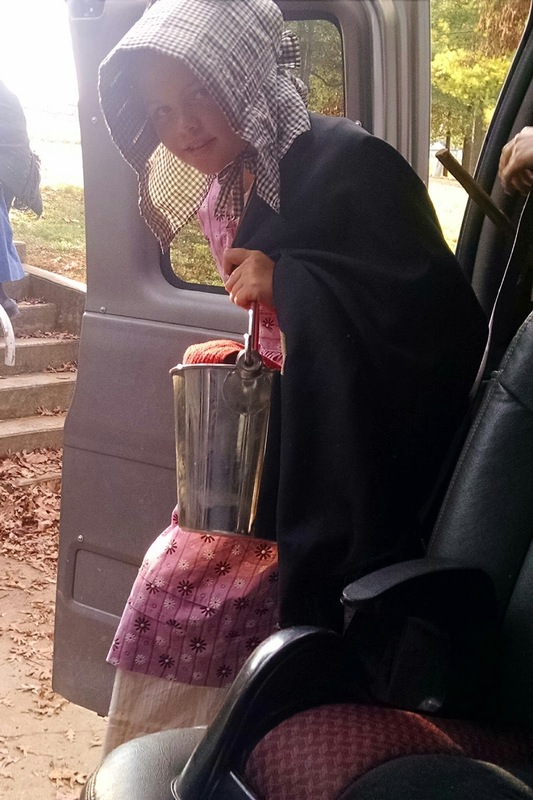 The sweet children you take to school each day are adorable and I enjoyed the pictures of their Old Fashioned Day! Straight out of the historical fiction (Little House on the Prairie series) I have enjoyed reading. Your quilts are beautiful. I still like to sew a simple 9 patch and fussy cut the print squares. 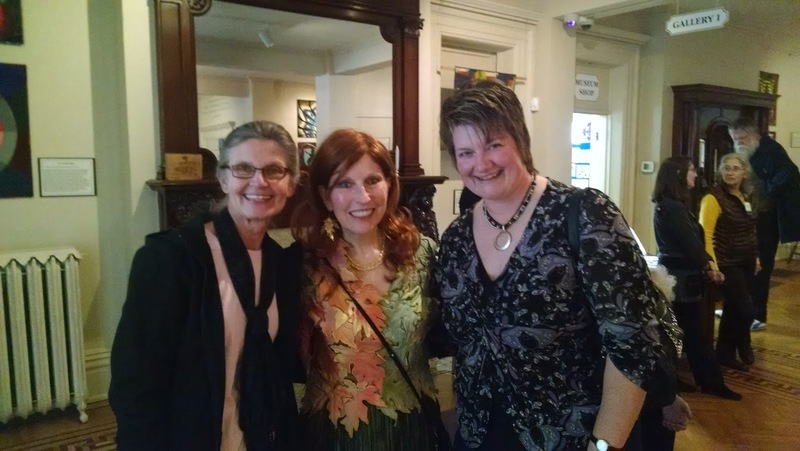 I'd love a copy of your book! Oh wow!!! 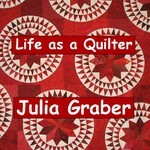 I would love this book...your work is wonderful...I love the "Remembrance Poppy" quilt. I added one a couple of years ago. I love log cabin quilts. 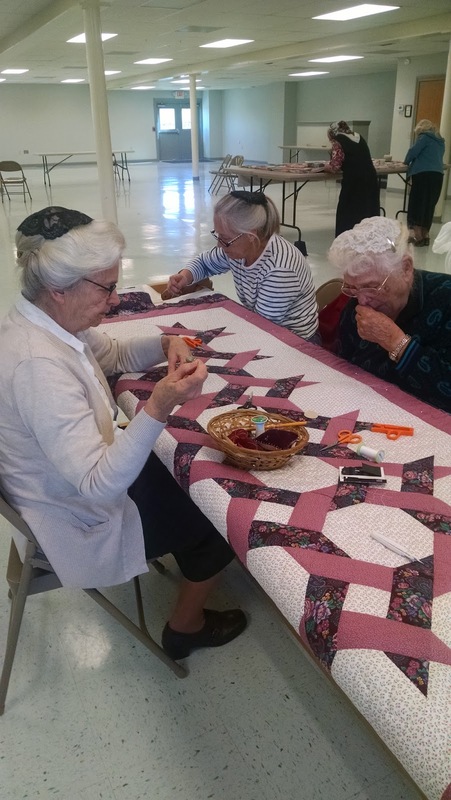 I looked through your website and I love the Chinese Checkers quilt. My grandpa made wooden Chinese Checkers boards for all of his grandchildren many years ago. It is something I treasure. Amy, you are the winner of my book Amazingly Simple Triangle Stars. I need you to email me at tbcline7@gmail and give me your address. Congratulations! My favorite pattern will have a star in it. I love stars. Thank you for this opportunity. Since I have the Star Struck quilt book I would have to say Stars from the book. I've been trying to do a huge star quilt for my daughter who loves stars. I would say Struck design. My daughter loves stars & I'm making her one from the book. One side is a huge star of her favorite materials & reverse is blocks of stars. You are an inspiration to so many of us fortunate to know you. Stars are my favorite design to put into quilts - they are always stunning. Thank you Barbara. That Triangle Stars book looks like great fun! Everyone in your family is so very talented. 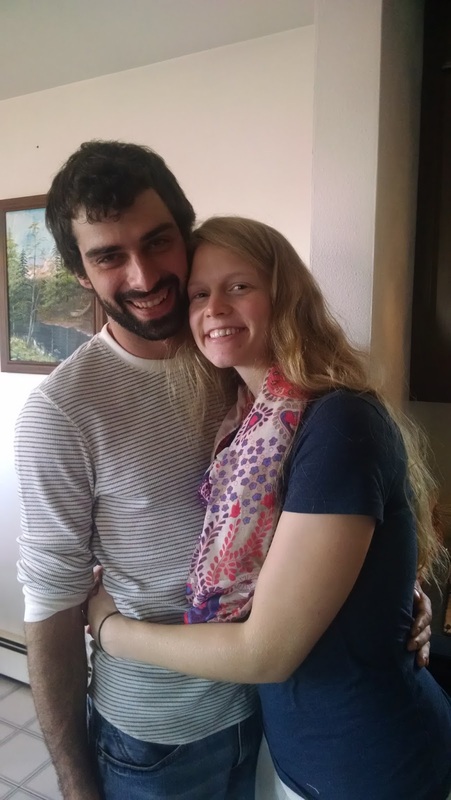 Have enjoyed knowing Julia and watching her progress - and now I'm learning more about you! I love your work, I have one of your books already and have taken a class at Julia's years ago. You and your family are so talented. Turley a blessing. Please enter me in the drawing, can't wait to see the other quilt in the book. I would love to have your book to make stars. It looks like it would help to make stars an easier task. 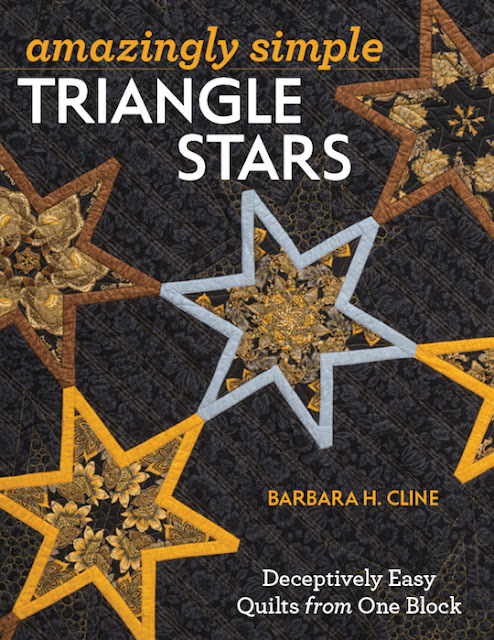 I have two of your books (Simply triangles and star struck Quilts), am trying to save up to buy the others, so to win this book would be the best Christmas present ever. I love all the quilts but I suppose my favorite would be Surprise Package. Love all your work. Thank you for the opportunity. I still love Spinning Pinwheels!!! I love, love, love your designs. What a nice pictures of a happy family. Thanks for sharing. 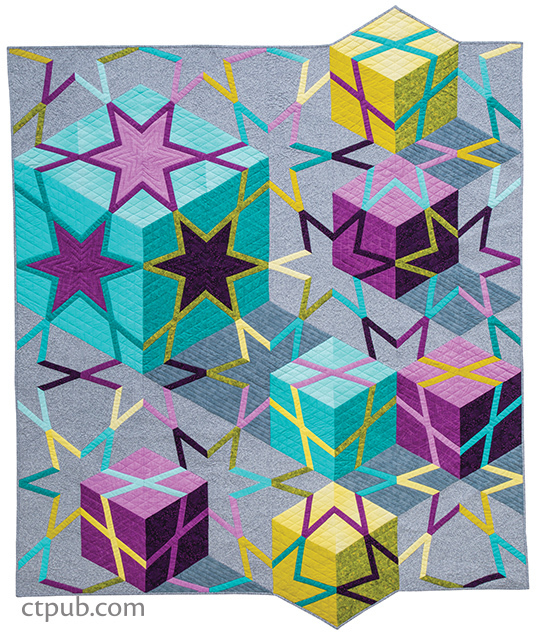 The colorful quilt with triangles and cubes above looks gorgeous! Wow, first time to your blog. What a wonderful wholesome family you have! I am envious. 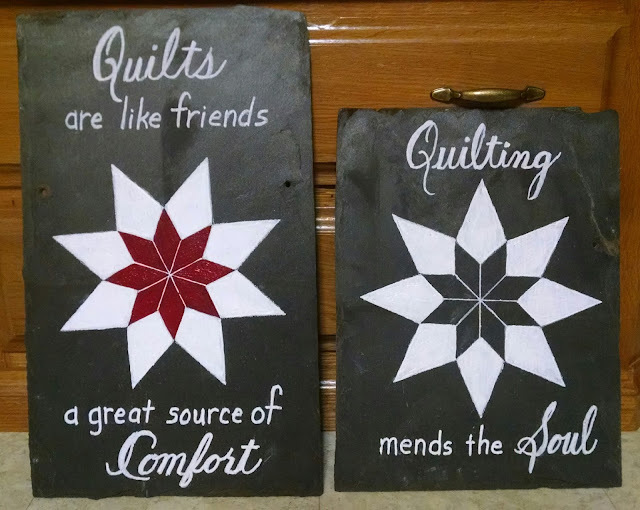 Your quilt design of easy stars is really great, your use of fabric is even more great! What a talent you have with both. You must have a great imagination. I am going to keep an eye on your site. Love your star quilt. Your quilt in the book is fantastic. Love the stars. Your family is wonderful. My all time favourite block is the traditional churn dash. I especially love it turned on point.